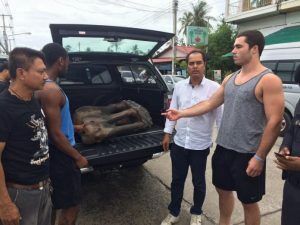 Two Full Moon Party-bound Americans were charged Wednesday with stealing a giant wooden elephant from the front of a restaurant while drunk. 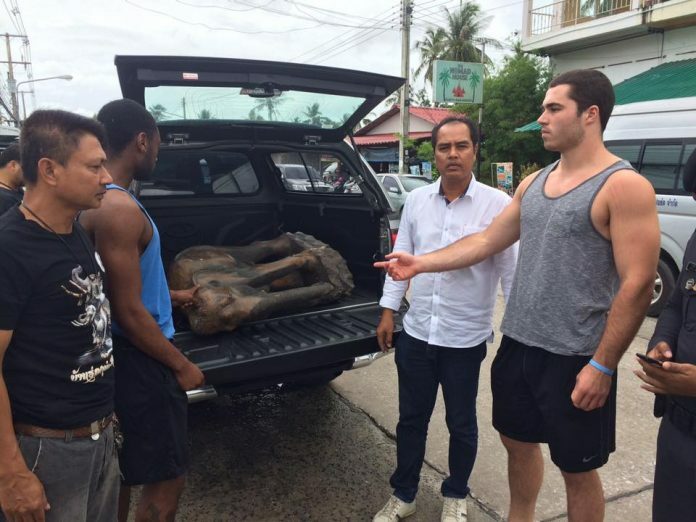 The tourists, John Johnson and Andrew Davidson, 23 and 22 respectively, allegedly nicked the decorative elephant Monday before loading it onto a rented truck which they transported by ferry Tuesday from Koh Samui to Koh Phangan. “They were drunk. At about 2am on Monday, they stole the elephant in front of Happy Chang Noi,” Lt. Col. Denduang Tongsrisuk said. Capt. 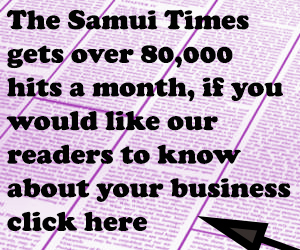 Sakchai Charoenkhun said they loaded the elephant onto the truck before proceeding to pass out in their hotel room just 50 meters from the restaurant. Denduang said Jefferson and Davidson said that when they woke up hungover Monday morning, they had forgotten where they had lifted the elephant from. They decided to catch the 6pm ferry to Koh Phangan for Friday’s Full Moon Party – and took the elephant with them. Police and residents started searching for the missing pachyderm in earnest when Sasothon Somvhung, posted CCTV footage showing two foreigners caught in flagrante stealing the elephant, a staple of Happy Chang Noi for 15 years. Police pulled the truck’s license plate from the clip, and soon police on neighboring Koh Phangan tracked down and arrested Jefferson and Berkeley. 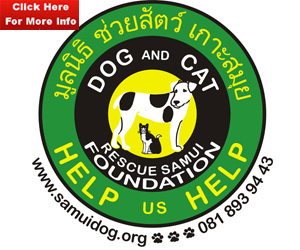 Denduang said Johnson and Davidson were charged with theft, which is punishable by up to 6,000 baht and three years in jail.